Though often used in history books to refer to the seven states that originally formed the Confederacy, the term "Deep South" did not come into general usage until long after the Civil War ended. Up until that time, "Lower South" was the primary designation for those states. When "Deep South" first began to gain mainstream currency in print in the middle of the 20th century, it applied to the states and areas of Georgia, southern Alabama, northern Florida, Mississippi, north Louisiana, southern Arkansas and East Texas, all historic areas of cotton plantations and slavery. This was the part of the South many considered the "most Southern". As of 2003, the majority of African-descended Americans in the South live in the Black Belt counties. Presidential elections in which the Deep South diverged noticeably from the Upper South occurred in 1928, 1948, 1964, 1968, and, to a lesser extent, in 1952, 1956, 1992, and 2008. Former Arkansas Governor Mike Huckabee fared well in the Deep South in 2008 Republican primaries, losing only one state (South Carolina) while running (he had dropped out of the race before the Mississippi primary). ^ Fryer, Darcy. "The Origins of the Lower South". Lehigh University. Retrieved 30 December 2008. The 1964 United States Elections were held on November 3, and elected the members of the 89th United States Congress, as well as the 45th Presidential Election. The Democratic party retained the presidency and added to their majorities in both chambers of Congress. This was the first presidential election after the ratification of the 23rd Amendment, which granted electoral votes to Washington, D.C.Democratic incumbent President Lyndon B. Johnson (who took office on November 22, 1963, upon the death of his predecessor, John F. Kennedy) won a full term, defeating Republican Senator Barry Goldwater from Arizona. Johnson won every state except for Arizona and the Deep South. Johnson won 61% of the popular vote, the largest share of the popular vote since 1820. Goldwater won the Republican nomination on the first ballot, defeating Governor William Scranton of Pennsylvania and Governor Nelson Rockefeller of New York. The Democratic Party picked up 37 seats in the House and 2 seats in the Senate, thereby capturing veto-proof supermajorities in both chambers. In the gubernatorial elections, the Republican Party won a net gain of one seat. The Black Belt is a region of the Southern United States. The term originally described the prairies and dark fertile soil of central Alabama and northeast Mississippi. Because this area in the 19th century was historically developed for cotton plantations based on enslaved African American labor, the term became associated with these conditions. It was generally applied to a much larger agricultural region in the Southern US characterized by a history of cotton plantation agriculture in the 19th century and a high percentage of African Americans outside metropolitan areas. The enslaved peoples were freed after the American Civil War, and many continued to work in agriculture afterward. 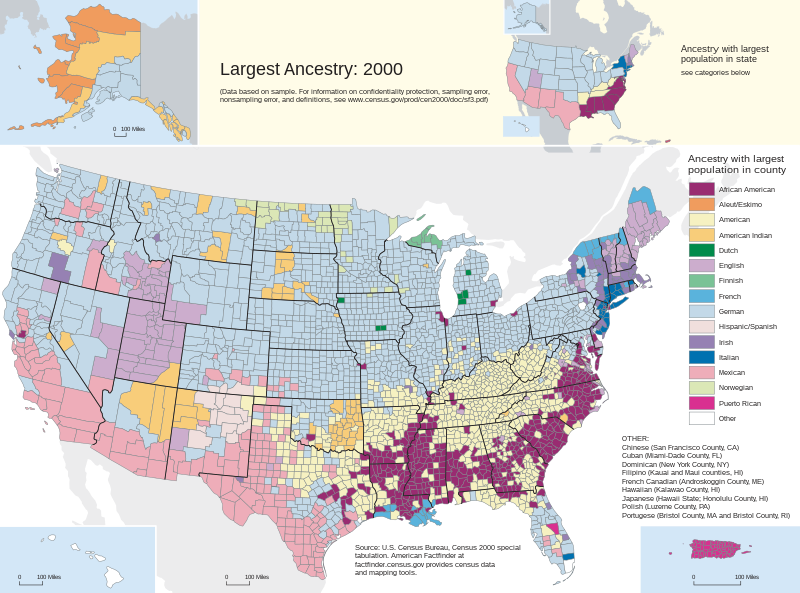 Their descendants make up much of the African-American population of the United States. During the first half of the 19th Century, as many as one million enslaved Africans were transported through sales in the domestic slave trade to the Deep South in a forced migration to work as laborers for the region's cotton plantations. After having lived enslaved for several generations in the area, many remained as rural workers, tenant farmers and sharecroppers after the Civil War and emancipation. Beginning in the early 20th century and up to 1970, a total of six million black people left the South in the Great Migration to find work and other opportunities in the industrial cities of the Northeast, Midwest, and West. Because of relative isolation and lack of economic development, the rural communities in the Black Belt have historically faced acute poverty, rural exodus, inadequate education programs, low educational attainment, poor health care, urban decay, substandard housing, and high levels of crime and unemployment. In December 2017, the Special Rapporteur of the Office of the United Nations High Commissioner for Human Rights declared Alabama was the most impoverished area in the developed world. Given the history of decades of racial segregation into the late 20th century, African-American residents have been disproportionately most affected, but these problems apply broadly to all ethnic groups in the rural Black Belt. The region and its boundaries have varying definitions, but it is generally considered a band through the center of the Deep South, although stretching from as far north as Delaware to as far west as East Texas. George Murdoch (born February 21, 1973), is an American actor, cable television political commentator, and professional wrestler best known for his time in Impact Wrestling under the ring name Tyrus, and for his tenure in WWE as Brodus Clay. Tyrus is a permanent co-host on The Greg Gutfeld Show. Deep South Paranormal is an American paranormal television series on Syfy that debuted April 10, 2013. As of June 2014, the series has been cancelled. Deep South Wrestling (DSW) was a professional wrestling promotion based in McDonough, Georgia. Deep South worked in tandem with World Wrestling Entertainment (WWE) as a developmental territory from 2005 until April 18, 2007. Deep South was owned by Jody Hamilton, former director of the WCW Power Plant. A previous version of Deep South, which had a working agreement with the American Wrestling Association, was also run by Hamilton from 1986 to October 1988. Economists say that transactions in the inter-regional slave market were driven primarily by differences in the marginal productivity of labor, which were based in the relative advantage between climates for the production of staple goods. The trade was strongly influenced by invention of the cotton gin, which made short-staple cotton profitable for cultivation across large swathes of the upland Deep South (the Black Belt). Previously the commodity was based on long-staple cotton cultivated in coastal areas and the Sea Islands. The disparity in productivity created arbitrage opportunities for traders to exploit, and it facilitated regional specialization in labor production. Due to a lack of data, particularly with regard to slave prices, land values, and export totals for slaves, the true effects of the domestic slave trade, on both the economy of the Old South and general migration patterns of slaves into southwest territories, remain uncertain. These have served as points of contention among economic historians. Eric Alexander Pérez (born December 18, 1979) is a Puerto Rican professional wrestler who currently performs under the ring name "Escobar". In 2005, Pérez signed a developmental contract with World Wrestling Entertainment (WWE), where he worked for developmental territories Deep South Wrestling and Florida Championship Wrestling, winning the tag team championship in both and the FCW Florida Heavyweight Championship. In the fall of 2009, he was promoted to WWE's main roster as "Eric Escobar", appearing on the SmackDown brand. On January 17, 2010, he was released from his WWE contract. Pérez subsequently returned to Puerto Rico, performing in the IWA and Puerto Rico Wrestling Association, winning the heavyweight titles of both promotions. Joseph Stewart Burns is a television writer and producer most notable for his work on Unhappily Ever After, The Simpsons and Futurama. Noted in the DVD commentaries of "The Deep South" and "Roswell That Ends Well", Stewart has an M.A. in Mathematics from UC Berkeley, where he studied under John Rhodes. He also attended Harvard University where he wrote for the Harvard Lampoon. Aside from writing on the original series, Burns also wrote the script for the Futurama video game and one of the Spyro games. Bradley Thomas Jay (born November 17, 1980) is an American professional wrestler, best known for his time in Total Nonstop Action Wrestling under the ring names of Jay Bradley and Aiden O'Shea. He also appeared in World Wrestling Entertainment (WWE) as Ryan Braddock in 2008. Joseph Hamilton (born August 28, 1938) is an American retired professional wrestler and current wrestling promoter and trainer. In his active days, Hamilton was best known as one half of the tag team The Assassins where he was called "Assassin #1". When the Assassins ended, Hamilton wrestled as "The Assassin" and "The Flame" both while wearing a mask.Hamilton teamed up with Tom Renesto in late 1961 to form the masked heel (bad guy) team known as "The Assassins" and, for over a decade, Hamilton and Renesto wrestled all over the world with great success. Once Renesto retired, Hamilton kept the Assassins team alive by partnering with wrestlers such as Randy Colley and "Hercules" Hernandez under the trademark gold and black masks of the Assassins.In the late 1980s, Hamilton founded Deep South Wrestling (DSW), where he also wrestled until a back injury forced him to retire in 1988. After Deep South Wrestling closed, Hamilton worked extensively for World Championship Wrestling both on the booking team and later on as a trainer at WCW's Power Plant training facility. In 2005, Hamilton reopened Deep South Wrestling, this time as an affiliate of World Wrestling Entertainment (WWE), to train wrestlers the WWE had signed to developmental contracts. In 2007, WWE abruptly ended their contract with DSW and the promotion suspended operations later in the year. Joshua Otis Turner (born November 20, 1977) is an American country and gospel singer and actor. In 2003, he signed to MCA Nashville Records. That same year, his debut album's title track, "Long Black Train", was his breakthrough single release. His second album, Your Man (2006) accounted for his first two number-one hits: "Your Man" and "Would You Go with Me", while 2007's Everything Is Fine included a No. 2 in "Firecracker". Haywire, released in 2010, produced his biggest hit, the No. 1 on the country charts "Why Don't We Just Dance" and another number one in "All Over Me". It was followed by Punching Bag (2012), whose lead-off single "Time Is Love" was the biggest country hit of 2012 according to Billboard Year-End. Keith Walker (born May 15, 1978) is an American professional wrestler who competes in North American and international promotions including Ring of Honor, Harley Race's World League Wrestling and Pro Wrestling Noah. In November 2006, he signed a World Wrestling Entertainment developmental contract and assigned to Deep South Wrestling and Florida Championship Wrestling before being released from his contract the next year. Since then, he and Rasche Brown have been competing as the SkullKrushers, and currently hold the record for the longest reign as NWA World Tag Team Champions. Ryan Parmeter (born February 6, 1980) is an American professional wrestler currently signed to WWE, where he performs on the Raw brand under the ring name Konnor, as part of the tag team The Ascension. After spending four years wrestling on the independent circuit as Ryan O'Reilly, Parmeter signed a WWE contract in 2005, and was assigned to Deep South Wrestling (DSW), a developmental territory, where he wrestled as Roughhouse O'Reilly. He won the DSW Heavyweight Championship twice, before briefly appearing in Florida Championship Wrestling (FCW). He also appeared in several dark matches prior to Raw and SmackDown, and at several ECW house shows. In October 2007, both Parmeter and his girlfriend, Krissy Vaine, requested to be released from their WWE contracts for personal reasons. Following his release, Parmeter took time off from wrestling, before debuting for NWA Charlotte in February 2009. In July 2010, he was re-signed by WWE, and returned to FCW where he began wrestling as Conor O'Brian. He was part of the fourth season of NXT, and earned fourth place on the show's fifth season, NXT Redemption. Michael Altieri (born October 3, 1983) is an American former professional wrestler, better known by his ring name Mikey Batts. He is currently working the independent wrestling circuit as a referee. North Central Florida is a region of the Southern U.S. state of Florida which comprises the north-central part of the state and encompasses the Gainesville Metropolitan Statistical Area (Alachua and Gilchrist counties), and the North Florida counties of Bradford, Columbia, Hamilton, Lafayette, Madison, Marion, Putnam, Suwannee and Union. The region's largest city is Gainesville, home of the University of Florida, while the largest metropolitan area is the Ocala Metropolitan Area. Other principal cities in the region include Lake City, Live Oak, and Palatka. As of 2010, the region had a population of 873,189. Like the Florida Panhandle, this region is often recognized as part of the Deep South, as compared to the rest of the state. The majority of white Americans in North Central Florida are traditionally of relatively unmixed English ancestry.The landscape and climate of North Central Florida are distinct from the sub-tropical environment most associated with Florida. The landscape of North Central Florida has gently rolling hills dominated by magnolia trees and large Southern live oak hammocks draped with Spanish moss. The region also has large expanses of pine tree forests. The climate is quite mild throughout the year but has very distinct winters with temperatures dropping below freezing quite often. Shirley Ann Grau (born July 8, 1929) is an American writer. She was born in New Orleans, and her work is set primarily in the Deep South and explores issues of race and gender. She lived during much of her childhood in and around Montgomery and Selma, Alabama with her mother. She graduated in 1950 Phi Sigma Kappa with a B.A, from Newcomb College, the women's coordinate college of Tulane University. Her collection of stories, The Black Prince, was nominated for the National Book Award in 1956.Her 1964 saga The Keepers of the House was awarded the 1965 Pulitzer Prize for Fiction. The night she was called about the Pulitzer Prize, she thought it was a practical joke from a friend whose voice she thought she recognized. ""I was awfully short-tempered that morning because I'd been up all night with one of my children," Grau said ... "So, I said to the voice I mistook, 'yeah and I'm the Queen of England too,' and I hung up on him."" The Pulitzer Prize committee member didn't give up and called her publisher Alfred A. Knopf. "The news got to me, but that was very embarrassing. "Her writing explores issues of death, destruction, abortion, and miscegenation, frequently set in the past in Alabama or Louisiana. Although she does not restrict her writing to the deep South or to stories about women, she is recognized as an important writer in the fields of women's studies, feminist literature, and Southern literature. "The Deep South" is the twelfth episode in the second season of the American animated television series Futurama. It originally aired on the Fox network in the United States on April 16, 2000. The terms Upland South and Upper South refer to the northern section of the Southern United States, in contrast to the Lower South or Deep South. Vito Joseph LoGrasso (born June 18, 1964) is an American actor and former professional wrestler, best known for his work in World Championship Wrestling as Big Vito and more recently World Wrestling Entertainment and working for their "developmental territories" Ohio Valley Wrestling and Deep South Wrestling as Vito.